As Arizona considers new vaping regulations, researchers at the State’s University caution against the potential danger of secondhand vapor, ignoring the science indicating that no such danger exists. A peer-reviewed study released last Summer, had compared e-liquid vapour to cigarette smoke, indicating that exhaled e-liquid vapour product particles are actually liquid droplets that evaporate within seconds. In line with what previous air samples had suggested, this study had indicated that vaping probably has a minimal impact on indoor air quality. The study titled “Characterization of the Spatial and Temporal Dispersion Differences between Exhaled e-cigarette mist and Cigarette Smoke,” was published in the renowned journal Nicotine & Tobacco Research. For both e-cigarettes and regular cigarettes, the particle concentrations registered following each puff were in the same order of magnitude. The researchers had found that for vaping products the particle concentration returned to background values within a few seconds, whilst for cigarettes it increased with successive puffs, only returning to background levels after 30-45 minutes. On the other hand, Arizona researchers are wrongly stating that the issue of second hand vapour is the same as that of secondhand smoke. “So, it’s the same issue with secondhand smoke that secondhand vapor contains all the same chemicals as if you were vaping yourself, just as secondhand smoke contains all of the same chemicals as if you were smoking yourself,” said Judith Gordon a professor and interim associate dean for Research in the UA College of Nursing, who was on the E-Cigarette Policy Review Taskforce. 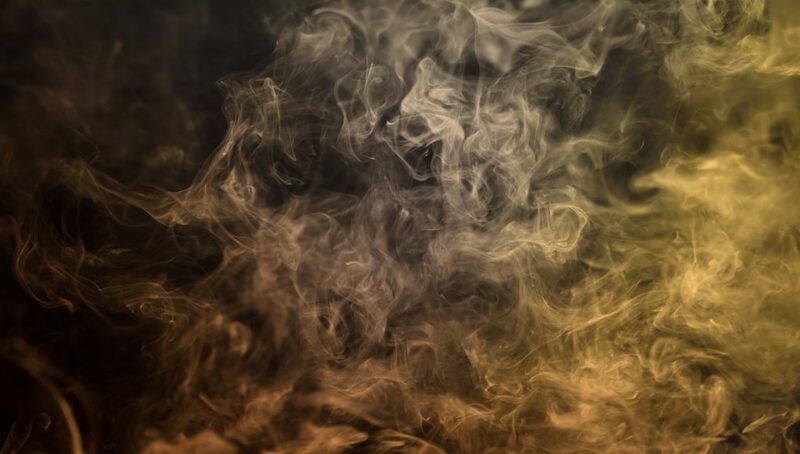 Gordon claims that while smoke from regular cigarettes goes up and out once released, the vapour from e-cigarettes is heavier than the air and sinks to the ground. She added that this can cause problems for families with children and pets who are lower to the ground where the vapor is settling. She referred to a study from UC Riverside, which found metal and some other particles in e-liquids and the aerosol it produces. “I think there’s a lot of misperceptions around vaping — that it’s harmless. And the more we learn about it and the more we know and the more that we can educate people who are vaping about the potential harms to themselves and others of the product,” said Gordon. However, renowned anti-smoking expert Dr. Konstantinos Farsalinos and other public health experts have long explained that any such toxic substances found in aerosol are of quantities that are insignificant to our health, and can in no way be compared to the amounts found in tobacco smoke. Farsalinos had explained that unfortunately this is once again a case of misinterpreted data and findings that are taken out of context. “The authors once again confuse themselves and everyone else by using environmental safety limits related to exposure with every single breath, and apply them to vaping. However, humans take more than 17,000 (thousand) breaths per day but only 400-600 puffs per day from an e-cigarette.” he explained at the time.